President Goodluck Jonathan has appealed to members of the Peoples Democratic Party (PDP), who lost posts vied for at the party’s primaries to remain in party in the interest of democracy. He appealed to the concerned members on Saturday at the PDP fund raising dinner held at the Presidential Villa, Abuja, assuring them that the leadership of the party was working to resolve all outstanding issues in the congresses and primaries. “We all appreciate that throughout the congresses where primary elections were conducted there have been some outstanding issues,” said Jonathan. “The party is working to resolve these issues; definitely, in such situation all may not be resolved to the satisfaction of everybody. “But my plea to party members is to remain committed to the party; stay with the party. “I know other parties are wooing some of you to contest elections on their platforms, but if you believe in democracy then you will contribute to strengthen it. “The only way you can strengthen democracy is for you to stay in your party,” he said. He said anyone who leaves the party out of anger or frustration is contributing nothing to the growth of democracy. He therefore thanked members of the party, the business community and other supporters of the PDP for contributing to the growth of the party. He also recalled the generous donation of the business community to support victims of the 2012 flood and to the Victim Support Fund launched in September. He assured them that their donations would be used judiciously. PDP National Chairman, Alhaji Adamu Mu’azu, earlier congratulated successful candidates of the party for the 2015 general elections and urged them not to let the party down. He however urged them to carry their fellow party members along during the campaigns. He also appealed to aspirants who lost at the primaries to put the past behind them and join hands to take the PDP to victory. On his part, chairman of the fund raising committee, Prof. Jerry Gana, warned members of the party against complacency in the 2015 general elections, which he said would be very competitive. “The 2015 elections will be very competitive. Do not take it for granted. We must never underestimate the opponent. 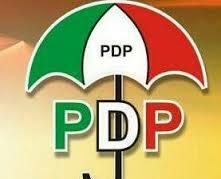 “PDP has advantage because it has done very well in its 15 years in power at the centre. Besides, our presidential candidate is very good and is one of the best in the world in terms of delivery of democracy dividends. “But doing well or having good candidates is not enough; we need to tell the electorate what we have done as a party. “We must endeavour to effectively communicate our achievements and candidates to the people; the elections must be issue-based and the PDP is noted for that,” Gana said.